We manufacture and export an enticing range of fabrics and garments for women to our clients spread across the globe. Our pool of designers and craftsmen constantly endeavor to deliver a collection that is crafted in compliance to the current fashion trends and client's demands. In our range, we offer salwar kameez fabrics, cotton printed fabrics, ladies kaftans, ladies night gown, designer girls skirts, red rose cotton nighties, tye-n-dye printed nighties, women's maxi, designer ladies skirts, flower printed skirts and ladies dresses. 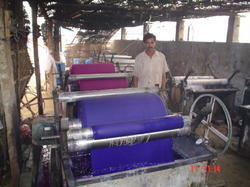 Apart from this, we also offer textile dyeing services for our clients.